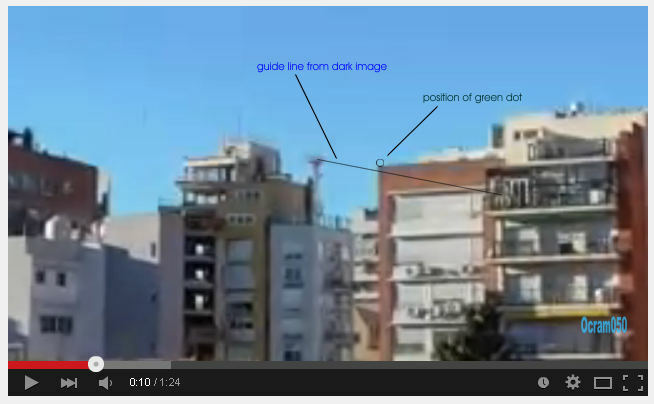 Uploader comment: The green dot UFO claim posted videos showing both the day time and night views. By matching up frames it was possible to locate the dot on the night view and then transfer the markings to the day time view showing that the green dot could was placed just above the roof top in the corner of the building. That suggests it was a purposely placed light, possibly hand held.